I am so very impressed with the Session of our church for taking the lead in our presbytery. How so? They are the first to join the new Fellowship of Presbyterians (FOP) organization, a PCUSA association of traditional/conservative congregations and church leaders who have decided to stand together in defense of the traditional biblical definition of marriage and singleness. This (new) conservative organization is different from many in the past (like the Confessing Church Movement). It is structured to help conservative churches throughout the PCUSA develop ministries based in vital and transformative mission to their communities with an unapologetic message of salvation through Christ alone. Congregations and church leaders alike will form up in groups of three or four to keep one another accountable to Great Commission objectives (making healthy disciples for Christ). Green Hill is a leader in this movement. I recently saw brave leadership on display in nature on Green Hill. Yes, I say, upon our very hillside! One solitary dogwood tree announced a new season of life and vitality. A picture of this leader-tree adorns the cover of this month’s newsletter. Soon the other dogwoods appeared in symphonic chorus to proclaim “hallelujah to God the Creator and Savior of humankind” following yet another dreary winter. Green Hill is that wonderful dogwood tree for our Presbytery and our denomination, I hope and pray. Soon other trees will join us. They are very much alive, though maybe not certain about timing, possibly a little timid in the face of uncomfortable cold and resistant winds; hesitant at first, they nevertheless are cheered on by a courageous leader. You, Green Hill, are that visionary and brave leader! Lead the way with praise and honor to our great King, Jesus the first-born of all Creation. Glad to be part of the lead formation! Amended the 2012 Budget to allow payment of final installment of the Acts 16:5 initiative ($720). Heard from our Executive Presbyter, Rev Samford Turner, regarding his concerns about a new affinity group that has formed in the PCUSA called the Fellowship of Presbyterians. He believes it will cater to larger churches and have very little to offer smaller churches like Green Hill. After extensive discussion voted unanimously to join the Fellowship of Presbyterians for one year. The annual monetary obligation is $250. See the pastor’s article and other news in this month’s newsletter. Designated March 24 as Spring Work Day, 8-12am; March 31 is the back up day in case of bad weather. Applauded the efforts of Congregational Care and Outreach Committees for a very successful launch of “Pasta and Praise” which drew over 80 the first Wednesday of March. The deadline for submissions for the May 2012 church newsletter is Tuesday, April 17. Items can be emailed to greenhillpc@gmail.com. Many thanks to all of our contributors! Please mark Wednesday, April 4, on your calendar and plan to come to the Green Hill “Pasta & Praise” night. Dinner will be served from 5pm to 6pm and will include spaghetti, salad, garlic bread, tea, water, and dessert. At 5:45pm, praise songs will be sung. Cost is $3/person or $5/couple or family. Come enjoy a fabulous meal and enjoy the joyous praising of our Lord and Savior! The women of Green Hill participated in two Spring Gatherings in March. 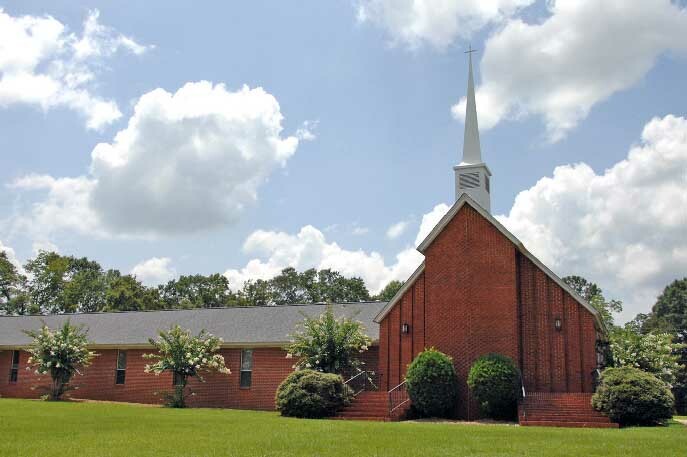 The first, at Swift Church, in Foley, AL, was held on March 10. Four Green Hill ladies attended and had a wonderful day. The second was held here at Green Hill on March 18. Our speaker was Mr. Dan Fraley from Ephraim’s Arrow (www.ephraimsarrow.com), a ministry that was designed to show the unity between Jews and Christians. Fifteen men and women were in attendance. Mr. Fraley also played his dulcimer. We are sorry that the whole church could not hear his message. The date of the next Belks’ Charity Day Sale has been announced and tickets are on sale now! The sale will be held on April 21 from 6am to 10am. To attend, you must purchase a $5 ticket from one of the ladies at Green Hill. Then, show that ticket to the cashier at Belks when you make your first purchase and get $5 off. That’s in addition to getting discounts of 20% to 70% off! The money from the tickets sold at Green Hill stays at Green Hill. The Belk’s Sale is one of the largest fund-raisers for the budget of the PW ministry. Thank you to everyone who participated in the Souper Bowl of Caring on Super Bowl Sunday by making a donation to the Green Hill Food Pantry. We collected $391.00! The totals have come in from around the country, and on that day 8953 separate groups collected a total of $8,754,665.00 in dollars and food items to be used in their local communities. It’s amazing what we can do when we all work together! Thank you to everyone who donated to this year’s Blanket Sunday collection, and thank you to Charles and Gloria Webb for putting on their entertaining demonstration. It’s a church tradition! We collected $500 for Church World Service, the organization that provides assistance to those in need as a result of disasters. The following thank you notes were received by Green Hill this month. One from Girl Scout Troop #9338 and the other from Sam Larr, parent of Ivan, Mariah, and JT Larr. Check out the new, colorful look of our Nursery and Preschool rooms! In February, our Session approved a budget to start remodeling. Thanks to all who have helped make the plan a reality so far with their time and talents: Buster Voss, Diane McQueen, and Ron & April Seery. Thanks for all the willing teachers and helpers for Bible Club this year. We couldn’t have done it without: our drivers, Sandi DeTora, Carl Bierbaum, Charlie Webb, Aimee McDonough, and Ron Seery, with subs Joel Mikuta and Jim Cully; our snacks provided by Donna Bigler with Ruth Oliver filling in as needed; Our teen group leaders, Alex McDonough, Joshua Whitkanack, and JT Larr; our station leaders – Pastor Dan, Amanda McMillan and Pat Johnson; our Kindergarten/1st grade teachers – Cris Dempsey and Carol Lynch; and, last but not least, our leader April Seery. We’ve taught 15 kids about Genesis and God’s plan of salvation this year and our hope is that it will lay a foundation for each of them to come to a saving relationship with Jesus! Thanks to Carol Lynch, Cris Dempsey, and Ron & April Seery for their support in making the Revelation Bible Study a success. We finished the first book of the Kay Arthur Discover 4 Yourself series “Bible Prophecy for Kids” covering Revelation 1-7. Our group of 5 kids and 2 adults learned lots and had great fun! On March 18, 2012, the Session of Green Hill voted unanimously to join the Fellowship of Presbyterians, an organization within the PCUSA. The following letter was mailed to the Pastors and Clerks of Session at all of the churches in the Presbytery of South Alabama. The Session of Green Hill Presbyterian Church greets you in the love of our Lord Jesus Christ. It is the Love of God that compels us to obey an important Biblical mandate for leaders of Christ’s Church: fidelity in marriage and chastity in singleness. Therefore, we have decided at this time to join the Fellowship of Presbyterians so that we might seek closer fellowship, spiritual communion, and mission partnership with those of like-mind in our presbytery and our denomination. The Fellowship of Presbyterians is an association of like-minded evangelical churches and ruling/teaching elders who believe Holy Scripture is the only source for knowing divine truth; further, the Scriptures contain sacred instructions for how the Church of Jesus Christ should live out the great commandment and the great commission. For more information you may contact Green Hill Church or go to the website of the Fellowship of Presbyterians at www.fellowship-pres.org. We invite others in our presbytery to join the Fellowship of Presbyterians so that a clearer and stronger voice might be heard in the midst of the current confusion. We believe that the former Book of Order’s appraisal of the Holy bible is correct: Scriptural truth is more than a trustworthy reference point; Biblical truth, rather, is to be sought and obeyed. It is our desire to remain active in the Presbytery of South Alabama in ways that would be helpful, not harmful. We pray for plans to meet together with our sisters and brothers across the theological or cultural walls that separate us. May the Lord help us all to discover a way forward that joyfully submits to the Lordship of Christ and His Word. Signed by the Pastor, Clerk of Session, and all Elders. about being Servants to All through the act of Foot Washing.